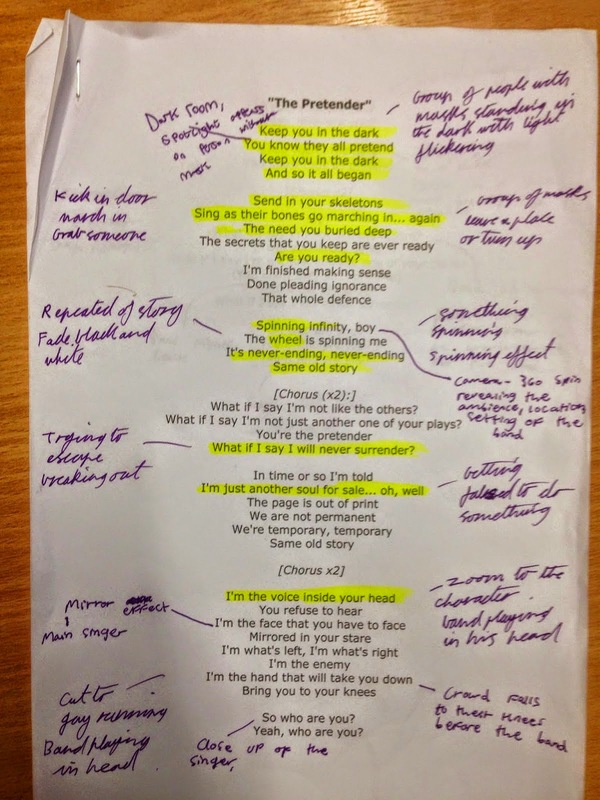 This is the analysis of the lyrics for our song choice of 'The Pretender'. 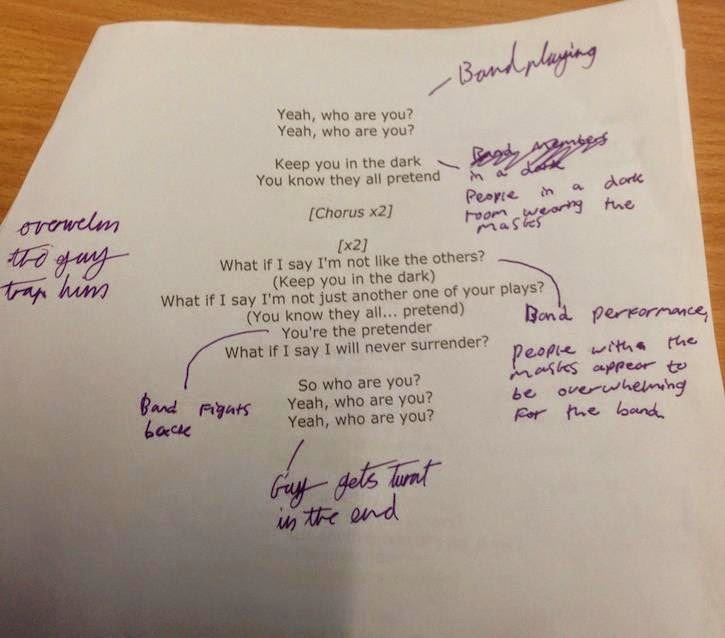 We started from the top and began pitching in idea on what we thought we could do for the certain section of the song. We separated our ideas by putting one persons on the left and the others on the right. This should hopefully help us when creating our storyboard for our music video.